Access to accurate and timely market information among pastoralist livestock producers and market actors is a perennial concern, even more so following the immense emphasis and efforts placed on improving livestock production in drylands. Livestock production being the major (and in most cases the only) source of livelihoods for communities in the drylands of Kenya, the need to address the full continuum of livestock production from breeding all the way to market access cannot be overemphasized. Consequently, many attempts are being made by different stakeholders —both governmental and non-governmental actors— to collect real time market information. For example, the livestock component of the USAID Feed the Future Kenya Accelerated Value Chain Development project (AVCD) which seeks to increase income from sales of livestock focuses on enhancing market access for pastoralists and other market actors by working to increase prevalence and use of market information systems among traders and producers. Similarly, the Kenya National Drought Management Authority (NDMA) through its early warning system program collects market data across 23 counties and avails this information through its monthly bulletins. The Kenya Livestock Marketing Council (KLMC) works with the Livestock Market Associations (LMAs) to collect market information in selected counties in northern Kenya. Private sector entities such as iCow also collect and provide this information, mainly in high rainfall areas, based on demand, but are yet to venture into the ASAL areas. These are just a few examples of the efforts by different actors towards establishing robust market information systems. However, these attempts are widely scattered and in some cases duplicated with no coordination to address all the aspects required for a successful market information system. Against this backdrop, on 11 July 2017, the International Livestock Research Institute (ILRI) in collaboration with the State Department of Livestock (SDL) – Government of Kenya and the Africa Drylands Institute of Sustainability (ADIS) of the University of Nairobi, organized and facilitated a stakeholders’ workshop to showcase the different models used in establishing market information systems and identify ways of working together to achieve sustainability. In his opening remarks at the workshop, Mr. Julius Kiptarus, the Director of Livestock Production at SDL, emphasized the need to work towards a standardized market information system among pastoralist producers, citing the government’s recognition and prioritization of arid and semi-arid lands (ASAL) development, as underpinned in the nation’s development blueprint, the Kenya Vision 2030. Additionally he noted that access to information is the right of every Kenyan citizen as stipulated in Article 35 of the Kenya Constitution (2010). 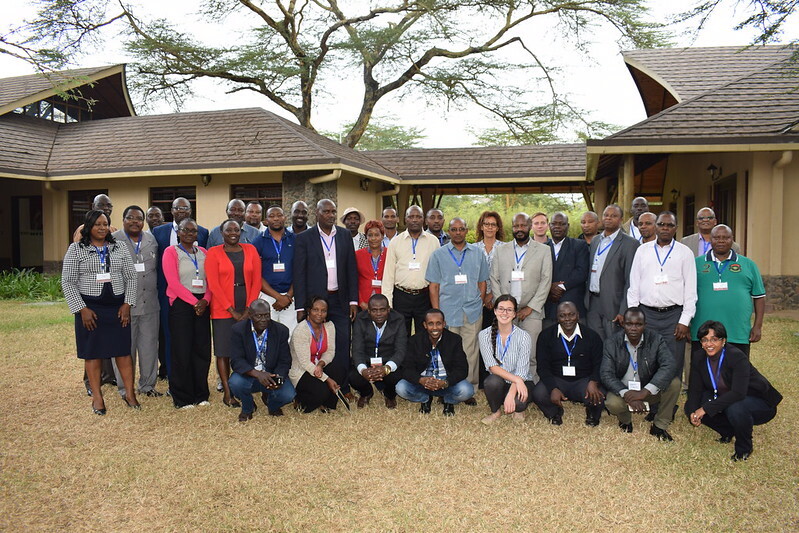 Among the innovations showcased at the workshop included KAZNET, a crowd–sourcing mobile based platform for collecting information from value chain actors in remote locations in northern Kenya. 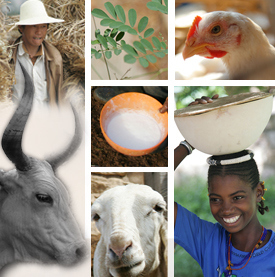 Developed by a team of researchers at ILRI, KAZNET’s goal is to improve stakeholders’ access to livestock market information. Also showcased was the National Livestock Marketing Information System (NLMIS), an SMS and internet based system implemented by the State Department of Livestock. NLMIS was established in 2003 to facilitate availing of market information through various media to all players in livestock marketing. It was also aimed to establishing a livestock marketing database for planning, research and monitoring of marketing trends, and to provide early warning information. The information spearheaded by KLMC was also showcased: Established in 2000 as a private sector, nonprofit making service organization, KLMC facilitates producers and traders to access market information for different markets. KLMC demonstrated how they have significantly enabled producers to access better prices for their produce. NDMA also presented their data collection system that involves use of data monitors to collect market information twice monthly. Bringing together more than 38 participants, the workshop identified the critical areas of overlaps in the different systems showcased. Participants agreed on the need to standardize and harmonize data collection tools and create linkages between different systems. It was also noted that for the livestock market information to be effective, it had to be accessible to the different stakeholders, simple, interactive and very flexible. Participants highlighted the crucial role of private sector to demonstrate its value and promote sustainability. While the current systems implemented by the different actors each have a way of grading the livestock, it emerged that there was no uniformity in the grading system, hence resulting in skewed results for the actors in different markets. As a result, penetration of external markets is stifled. Participants noted the urgent need to produce and agree upon a standard grading system for use across the country and beyond the region to facilitate trade across the borders. The recently developed national live animals grading standards were identified as the overall guidelines, which LMIS can use. For a structured harmonization of the different LMIS, the workshop resolved to set up a LMIS working group with representatives from the State Department of Livestock, the private sector, the livestock research institutes, the Kenya Bureau of Standards, the County governments and representatives of other relevant actors in this area. The working group will be chaired by SDL and was tasked with the mandate to lead the establishment of a national livestock market information system that will be used across the country and that will be compatible with others in the East African region and beyond. The working group will also take lead in the development of framework for best practices for data collection to guide the actors, including the enumerators and data monitors employed in the different livestock markets. Additionally the frameworks will identify and promote effective dissemination methods of information and of utmost importance suggest how to inbuilt sustainability mechanisms within LMIS. Reblogged this on Index-Based Livestock Insurance.